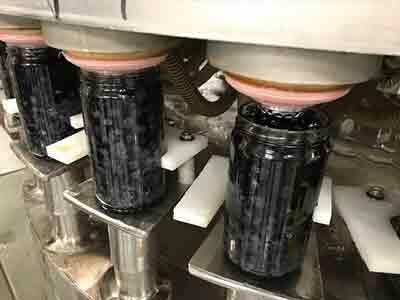 Newberg, OR After the rapid sell-out of St. Cousair' first export to Japan, the company has now begun production of a delicious Blueberry Compote to be sold at SCOO's parent company's St. Cousair and Kuze Fuku & Co. stores in Japan. With the peak of Oregon's blueberry harvest occuring in July, St. Cousair selects the best morning-picked blueberries from producers in the Willamette Valley area. 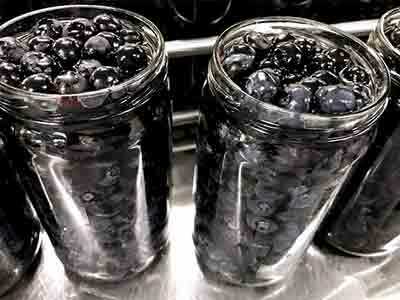 Sorted by hand and washed clean, the blueberries will be filled into jars and preserved with syrup. 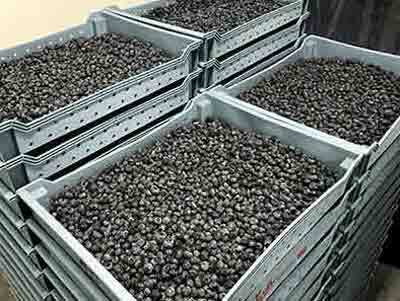 Though it will take a while for the shipment of Blueberry Compote to reach Japan, our Japanese customers are looking forward to its arrival! SCOO's Blueberry Compote will be sold at parent company St. Cousair's over 120 retail stores all over Japan. Sales of small-sized jars of Blueberry Compote are expected to begin in mid-October, with larger size jars going on sale in late November.